By more popular demand for a comp that has been unavailable for a while, I have revamped and re-upped Volume 31, a great mix of manic stoned fuzzers from around the world. 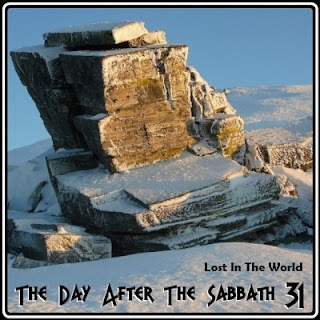 It's delights include a nice'n heavy Stevie Wonder cover, an early pre-fame Ronnie James Dio and a great Argentinian stoner band's cover of a space-rock classic. I have added a lot of extra information on each band, speeding-up deployment by lifting it all directly from various sources on the net. Enjoy!----Rich. So we start at the beginning with......Redbone was formed by Californian brothers Pat & Lolly Vegas, of mixed Native American and Mexican heritage. They recorded a lot during the 60s under various names before forming Redbone (a Cajun slang term referring to their mixed blood) in 1969. 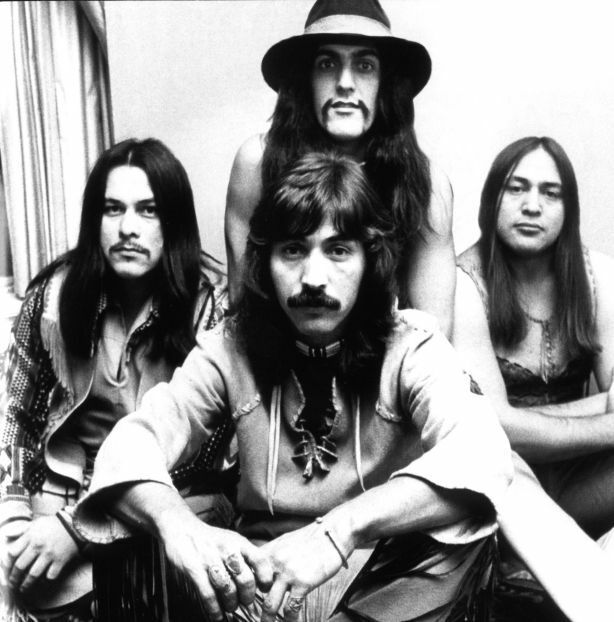 Pat claims that they were inspired to form an all-Native rock band by a suggestion from their friend Jimi Hendrix, and by his pride in his Native American heritage. They were one of the most successful bands on this comp and continued to record until 2005. 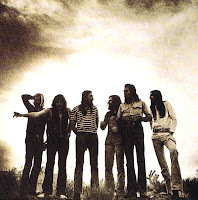 I love the haunting intro of ‘Chant: 13th Hour’ from their second album, 1970’s ‘Potlatch’. 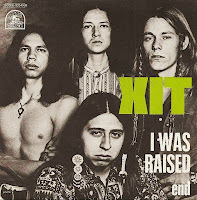 Lincoln Street Exit, later known as ‘XIT’, was started by four guys in Albuquerque, all of Native American descent. There is a track here from each incarnation. 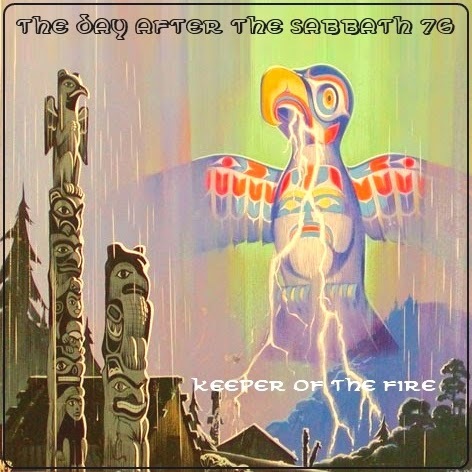 At first they did not overtly display this heritage (listen to the hard psych sound of “Straight Shootin’ Man” from their first album) but as they progressed, their name shortened to XIT as new producer/member Tom Bee encouraged a move to politically-themed lyrics and First Nation pride and imagery. They did enjoy some success and were quickly signed to Motown record’s ‘Rare Earth’ Label. Like Redbone, the political aspect affected their saleability in the US, but not in the rest of the world. The XIT track ‘I Was Raised’ appearing here, is from their 1972 Motown debut LP ‘Plight Of The Redman’. Tom Bee is a name that will appear again here. A member of the Dakota tribe from New Mexico, Tom was inspired by Leonard and Marshall Chess who ran the Chess record label in the 1950s. Founding an R&B label, ‘Lance Records and Music’ in the 1960s, Bee sold 45 rpm singles from the trunk of his car. Later, as a producer, he worked with artists like The Jackson Five and Smokey Robinson and started labels expressly for promoting Native American music. It’s thanks to his efforts that the Grammys now include a Native American category, for which he has subsequently been a nominee, along with a lot of other awards that recognise his contributions to native music. He made a solo album in 1994 called ‘Color Me Red’. 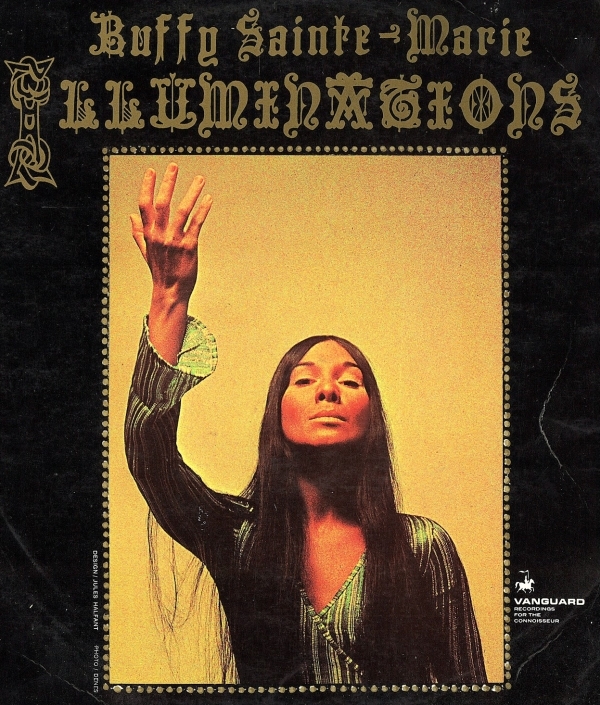 Buffy Sainte-Marie was an artist of Cree Canadian descent who has had a long and eventful life in music. She has been recording since the early sixties, and active in protesting for ‘Indigenous peoples of the Americas’ rights, which includes those of South America. Her ‘folk-protest, long-haired girl with guitar’ image reminds me somewhat of Joan Baez, who was also born in 1941. 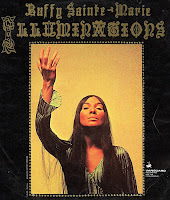 The track appearing here “He’s a Keeper of the Fire” is from her (at the time) least well received album, 'Illuminations'. It divided fans as it was the first big departure from her original sound; her first ‘rock’ record. In retrospect it is regarded as a unique and interesting work, with it’s heavy use of electronica and the cutting-edge Buchla synthesizer, and arrangement contributions from Peter Schickele (aka PDQ Bach). This brought to my mind another pleasing connection to Joan Baez; Schickele arranged Joan’s 'Noël' and 'Baptism' LPs around the same time, and later the Silent Running soundtrack that Joan sung on. If there's one band that could give Skynyrd a run for their money it's this one....Jacksonville, Florida's Blackfoot were originally called Hammer, they changed their name to Blackfoot to represent the American Indian heritage of bassist Greg T. Walker, drummer Jakson Spires and singer/guitarist Rickey Medlocke (Spires is part Cherokee, Medlocke part Sioux, and Walker part Eastern Creek, a Florida Indians tribe). Their name is from the ‘Blackfoot Nation’, that originated from a powerful buffalo-hunting society of the northern plains with most of their settlements in Montana, Idaho, and Alberta. 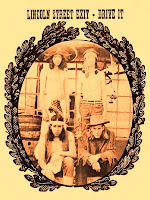 I used the band back on Vol65 and for me they are one of the best Southern rock bands ever. 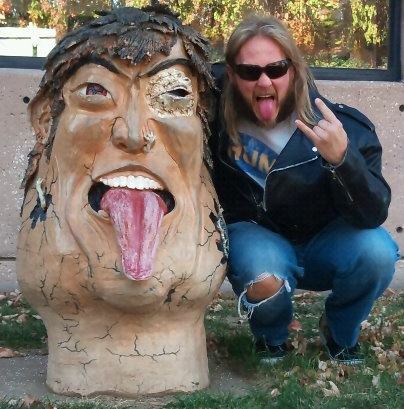 Medlocke often plays in Lynyrd Skynyrd, and he heads a new lineup of Blackfoot this year. Jimmy Carl Black was of Cheyenne heritage, he was the original drummer of Frank Zappa’s Mothers Of Invention. 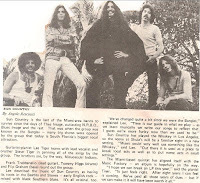 Zappa disbanded the Mothers in 1969 and in 1970 Jimmy formed Geronimo Black (named after his youngest son) with sax player Bunk Gardner who was also from The Mothers, and others including Denny Walley from Captain Beefheart's Magic Band and sax player Tjay Contrelli from Love. Geronimo only made one album in 1972, which is a mix of hard rock, R&B and jazz with well-integrated stings and horns and “Low Ridin’ Man” is my personal pick. There is also a polemic track called ‘An American National Anthem’ written by Black about Indian killings; "Indian Land is stolen, 52 million dead, each one's head is scalped by a trick taught by white man hunters coming over the land"
Todd Tamanend Clark (b. 1952 Greensboro, Pennsylvania, US) Is a DIY musician with Lenape and Onodowaga ancestry that has been self-recording his own obscure, unique music since the seventies. Todd Clark is his English name, from 1990 he began using his full name of Todd Tamanend Clark which was inherited from his grandfather. The name Tamanend originates from the Lenape nation in the Delaware Valley. 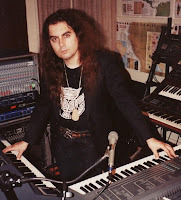 His music is a Smörgåsbord of sci-fi influenced, proto-punk glam pysch experimentation, and he is an enthusiast of archaic electronica like Moogs and Theremins. I found the tracks I used here on the Anopheles Records retrospective ‘Nova Psychedelia’ which spans the first decade of his career from 1975-1985. His most recent album of original material was 2004's 'Monongahela Riverrun' and he is working on a new record right now..
Oklahoman Jesse Ed Davis was born in 1944 to a Muscogee Creek/Seminole Father and a Kiowa mother. He made a name for himself around Oklahoma, playing with the likes of John Ware (Emmylou Harris drummer), John Selk (Donovan's later bass player) and Jerry Fisher (Blood, Sweat & Tears vocalist). His longest band membership was with Taj Mahal, for whom he adeptly played guitar and piano in many styles including blues, rock, country and jazz. It is said that after watching a Taj Mahal show one night, Duane Allman was amazed by Jesse’s innovative slide guitar interpretation of the riff in Blind Willie McTell’s “Statesboro Blues” and he borrowed it for what became one of the Allman Brother’s signature tunes. Jesse became an in-demand session guitarist and recorded with John Lennon and George Harrison, and was invited to record or play live with Ringo Starr, Eric Clapton, Leonard Cohen, Keith Moon, Jackson Browne and Steve Miller. 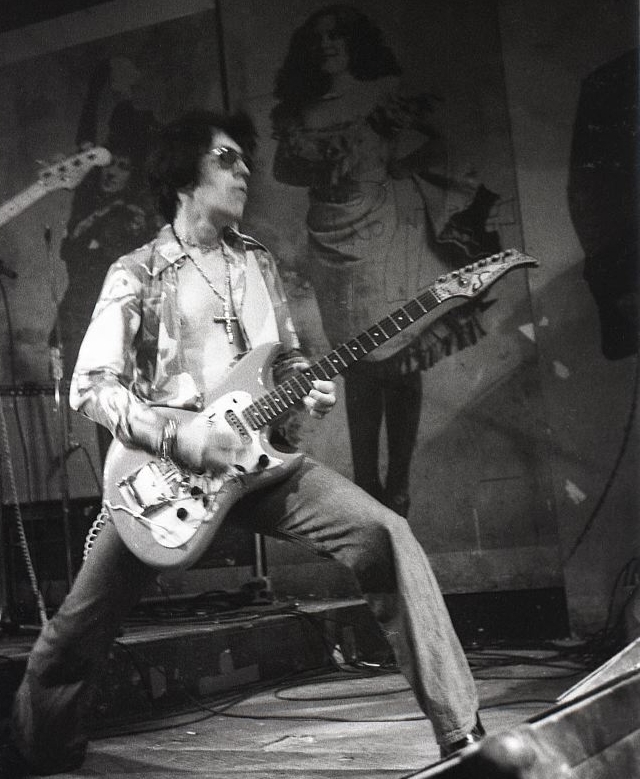 He performed with The Faces as second guitarist throughout their final US tour in 1975 and played with American Indian activist and poet John Trudell in the collective called the Graffiti Band. Sadly, Jesse battled drug addiction on and off throughout his career and in 1988 it eventually killed him at the young age of 43, in Venice, California. The track I have used is from his second solo album, 1972’s ‘Ululu’. 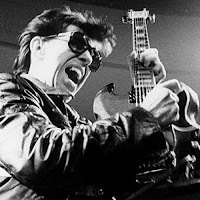 Link Wray was from the same pre-Elvis generation as the likes of Little Richard, Jerry Lee Lewis or Chuck Berry and he remained influential right up until his death, though he never achieved the same level of recognition. 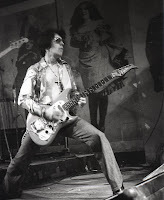 His story goes right back to the beginning of the electric guitar’s use in rock & roll. “Fred Lincoln Wray Jr” (b. 1929) had a hard childhood; he is quoted as saying “Elvis, he grew up white-man poor. I was growing up Shawnee poor” (the tribe of his ancestry) and he recalled his family being in fear of the North Carolina Klu Klux Klan. He signed up for the Korean War and contracted tuberculosis while serving. During recovery he had a lung removed. The affect this had on his vocal abilities encouraged him to compensate by focussing on the guitar and it's heaviness, so he was one of the first artists to make the guitar a lead instrument. After a career-lull in the sixties and it’s rebirth in the seventies, his legacy has been recognised as one of sonic attitude and innovation rather that technical ability. His seminal 1958 track ‘Rumble’, on which he has been credited with the invention of the power chord and popularisation of amplifier distortion, was radio-banned to stop it from inciting violence in the new gang culture-aware youth of the times. 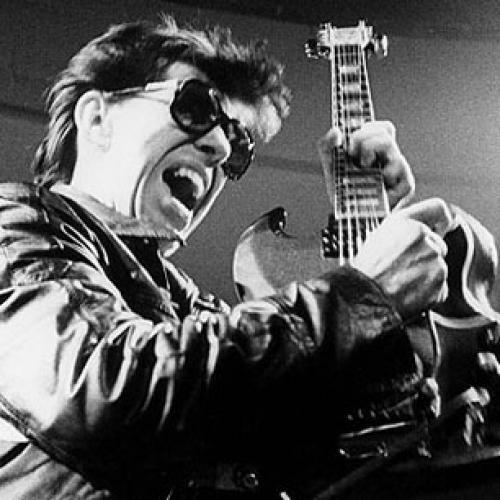 He received redemptive acceptance as a rockabilly icon in the eighties and a new life in Europe enabled him to continue performing right up until his 2005 death from heart failure at age 76. 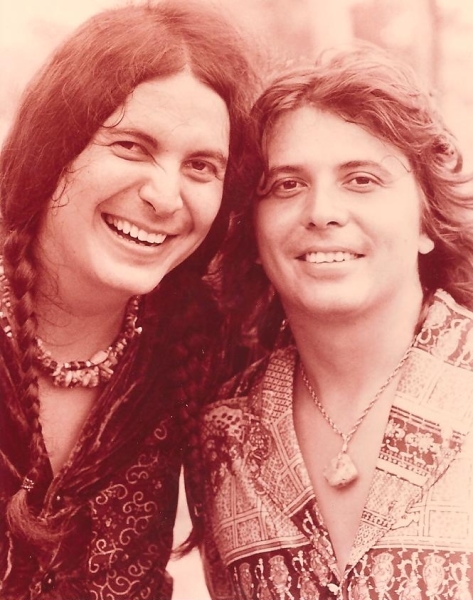 He was inducted into the Native American Music Hall Of Fame on June 8, 2006. Link rarely recorded two albums that sounded similar, and the track I have used, ‘Tecolote’ from his 1975 album ‘Stuck In Gear’, is a good example of where he was at that point in time. Sun Country was started by brothers Lee & Stephen Tiger, sons of Buffalo Tiger, a chief of the Floridian Miccosukee Tribe. As teens they gigged in Miami garage bands including the Renegades and a brief incarnation of NRBQ. The brothers formed ‘Sun Country’ in 1968 and played at the inaugural Miami Pop Festival of that year. In 1969 they played the ‘Big Rock Pow Wow’ at the Seminole Indian Reservation in Hollywood, Florida. Headlined by The Grateful Dead, it ran for three days in May, also featuring Chicago, Edgar & Johnnie Winter. They toured the West Coast in 1969, playing venues including the famed Whisky-a-Go-Go and opening for acts including Frank Zappa's Mothers of Invention. Upon signing to Bernard Stollman's ESP label, Sun Country issued its self-titled record in 1969. 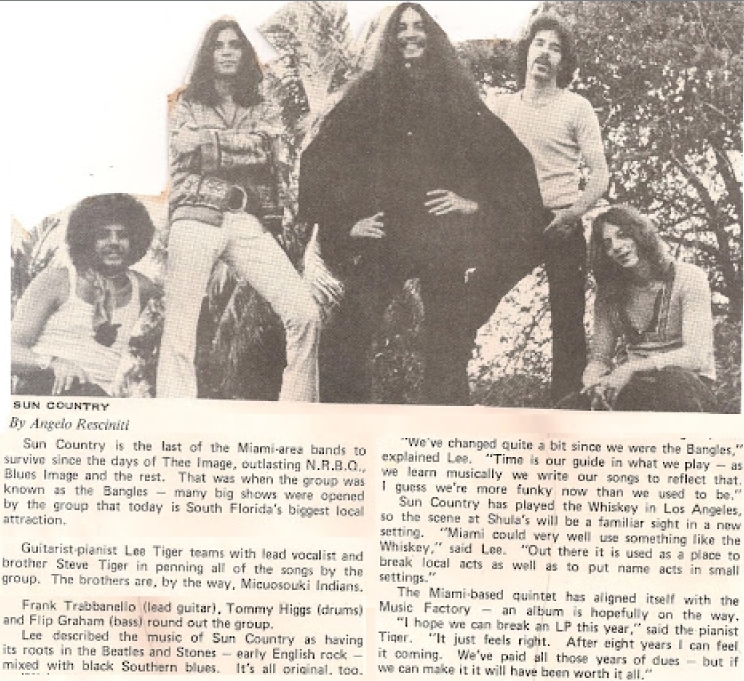 It fared poorly, but by 1972 the Tiger brothers were back as ‘Tiger Tiger’, who have been playing since. While readying their 5th LP ‘Native to This Country’ in 2006, Stephen Tiger suffered a fatal fall at his Miami home, at the age of 57. Lee Tiger vowed to continue, recruiting Stephen's son Joey and former Blues Image/Alice Cooper guitarist Mike Pinera to round out the lineup. The track I have used is ‘Dog Legs’, it is the most Native American-flavoured track from their first record. They re-recorded the song in 2000, so what I have done here is mixed the old and new together, it starts with the 1969 version and at around the 2:10 mark it merges in to the 2000 version. J.J. Light is actually Jim Stallings, who also played bass with the Sir Douglas Quintet. His solo music started in the early 60's with some doo-wop style singles. 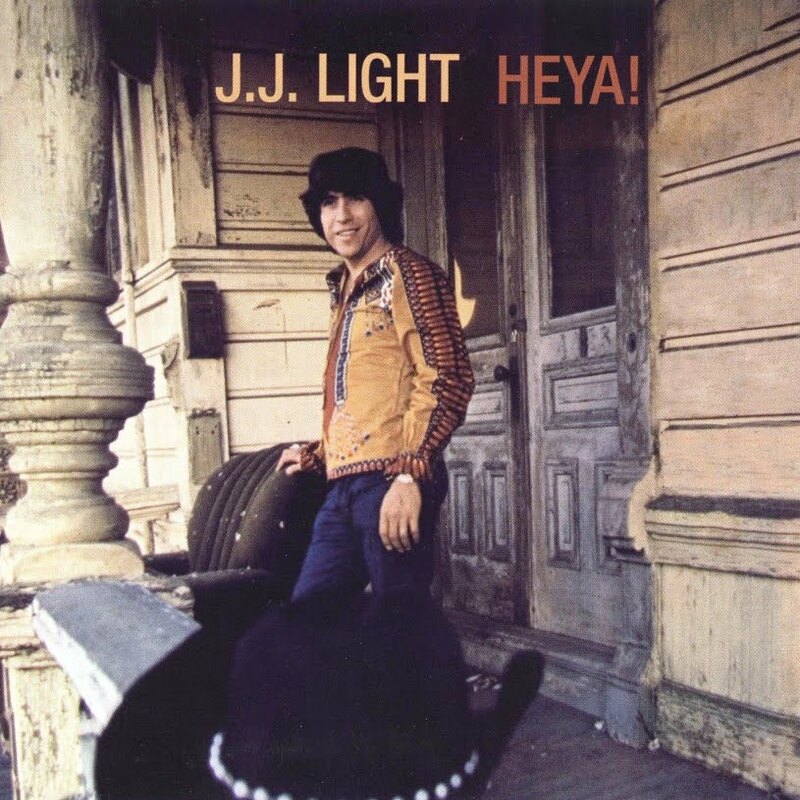 In 1969 he recorded his only LP, called ‘Heya’, under the pseudonym ‘J.J. 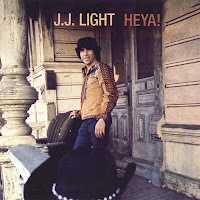 Light’, a name coined by the album’s producer, “the notorious” Bob Markley of ‘West Coast Pop Art Experimental Band’ fame. I have joined a couple of his tracks; ‘Follow Me Girl’ is a fuzzrockin’ pop gem, and ‘Indian Disneyland’ is a great Bob Dylan-esque social commentary which draws from his Navajo Indian roots. For curious reasons unknown, to myself at least, the album was never issued in the US but sold very well in Europe, Japan, South America, and New Zealand. 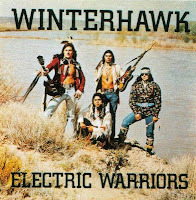 Tom Bee’s name appears again, as producer of Winterhawk’s 1979 ‘Electric Warriors’ LP. Nik Winterhawk Alexander, a Cree Indian who led the all-native hard rock band, was quoted: "Music is a very sacred part of Native American lifestyles. If a person of a tribe possesses a rattle or a drum or a stick to beat the drum, those articles are treated with great respect. 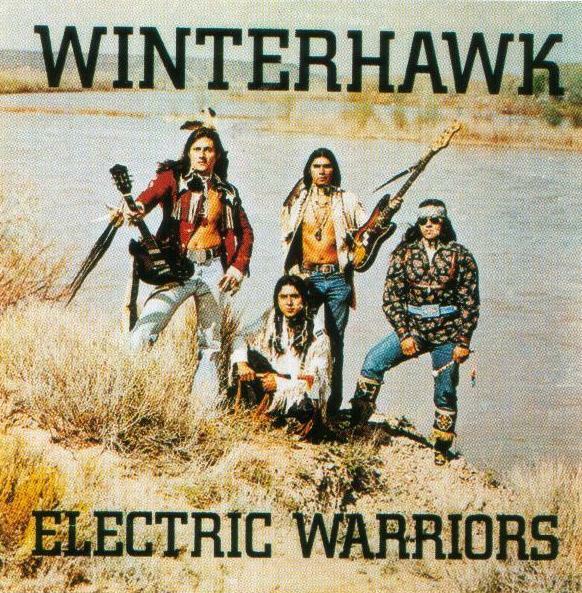 Winterhawk carried that same reverence toward music, because the ability to play music is a gift". According to RYM, the band comprised: Nik Alexander (vocals, guitar), Frank J. Diaz de Leon (bass, vocals), Alfonso Morris Kolb (drums), Frankie Joe (guitar), Jon Gibson (drums, vocals) and Doug Love (bass, vocals). 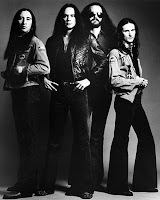 They recorded two albums between 79-80 but apparently were better regarded as a live band, playing together from 1971 until 1984. The track I have used here; ‘Selfish Man’ is one of the best on the comp and it’s a great mix of hard rock with loads of Red Indian character. The compilation ends with a thought provoking track found on the b side of a single. 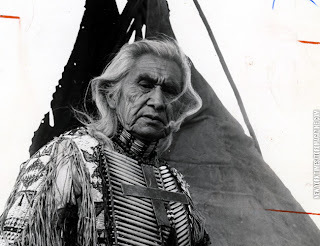 Chief Dan George (b. 1899) was a chief of the Tsleil-Waututh Nation from Vancouver. He was a writer and an actor too, appearing in movies like ‘The Outlaw Josey Wales’ with Clint Eastwood. 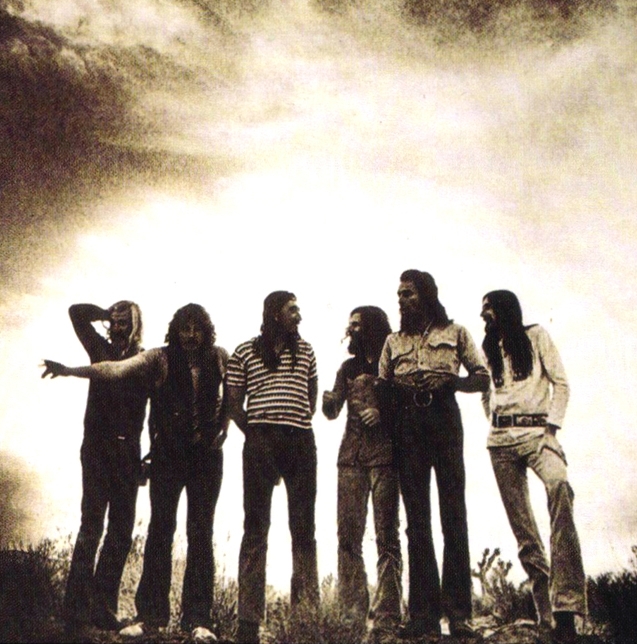 In 1973 a Canadian band called Fireweed made an album called ‘In Circle’ and the Chief sung on it. ‘Indian Prayer’ is a spoken word recitation of a traditional Native American prayer, of which an English translation was made famous by Lakota Sioux Chief Yellow Lark in 1887. Two tracks from the album were released on this single with the a-side being a cover of Gene Austin’s My Blue Heaven. 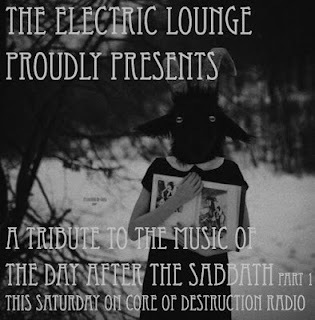 On Saturday 25th of August 2012, Scott Sroka (aka DJ Cheesus) dedicated his entire 'Electric Lounge of Aural Ecstasy' show on Core of Destruction Radio to a 3 hour Day After The Sabbath tribute. Scott, currently living in São Paulo, Brazil, has been presenting on Core of Destruction for the past year. 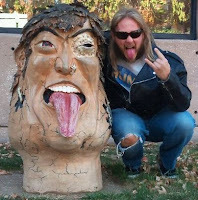 He was a contributor to the excellent stoner rock community blog 'Sludge Swamp', that sadly closed its doors a year or so ago. Sludge Swamp helped me out in making a name for TDATS back when I started doing this, and also hosted demos for a few of the New Zealand bands that are joined up on the forum I started up when I was over there: www.stonerdoom.co.nz. For the show he chose at random one track from each of the first 39 volumes and played them all along with cool commentary, after having made a great job on some extra research with assistance from co-host Stargazer. He plans to do another part soon. Here is the show to download from [mf] or [mg]. 02. Moxy - Can't You See I'm A Star? 32. Socrates Drank The Conium - Who Is To Blame? Scott's 'Electric Lounge of Aural Ecstasy' show is on Core of Destruction every Saturday 3 pm CST (us)/ 4 pm EST (us) / 9pm GMT / 10pm CET. Many thanks to Scott and I look forward to the next part!